This decorative Whitewashed Cast Iron Vintage Key Wall Mounted Key Hook 11" is the perfect item for any vintage collector. 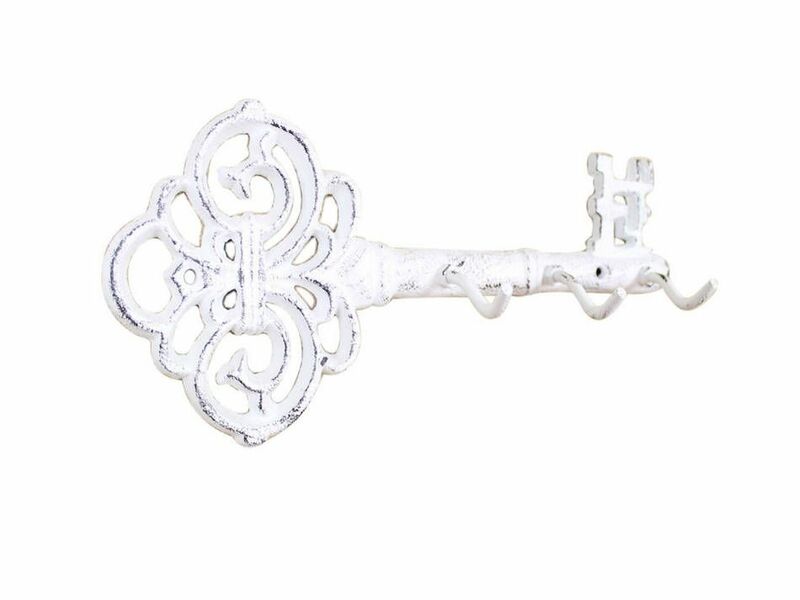 This beautiful rustic key hook will add charm to any room in your home or office. Handcrafted from cast iron by our master artisans, this sturdy wall hook is ideal for keys, purses, or any accessories. With an authenic vintage design, this item will shine on any wall or door and impress your guests. 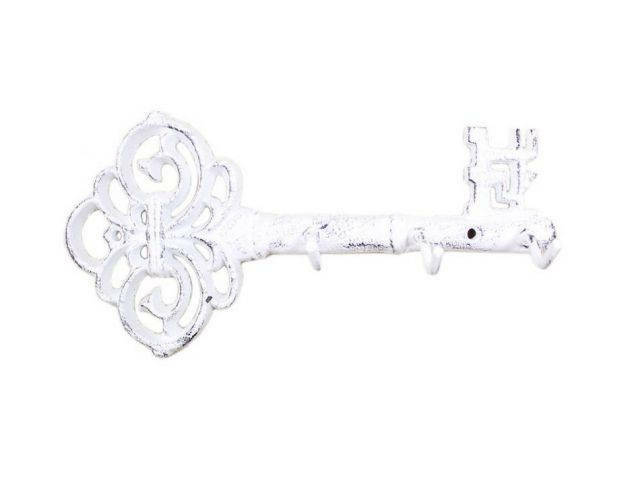 Enhance the beauty of your home or office with this vintage key hook, and show your visitors your affinity for vintage decor.